With a fitted upper part and loose lower, A-line wedding dress has a silhouette like letter A. 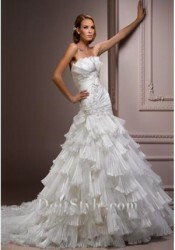 Many girls choose A-line dresses for their wedding. 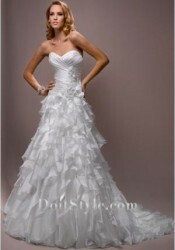 Dresses of this category always has empire waist which can make the bride more slim.